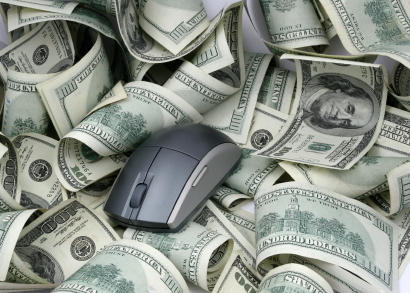 To make money by reading emails is one of the easiest jobs you can do online, but due to many fraudsters out there who have violated this source of income by not paying its clients, this system has being believed to be an illegitimate means to make money from the internet. 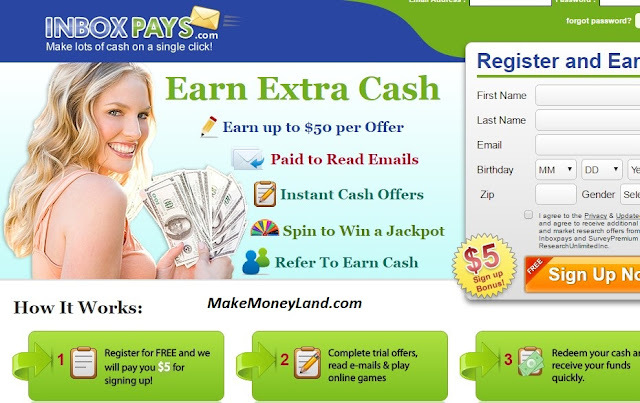 Am going to list the sure legitimate methods to earn money from reading emails. First let me explain the way this works, when you sign up with this websites, they send mails to you, the emails they send to you will contain links, then you click on those links and open the pages. When you complete the tasks, you are completing the advertising purpose the owner of the websites you visited wants. The advertisers pays the paid to read (PTR) websites and the paid to read websites pays you for reading the mails. All the websites am going to list are known as GPT websites which stands for Get Paid To, This websites pays you for performing some actions. 1. 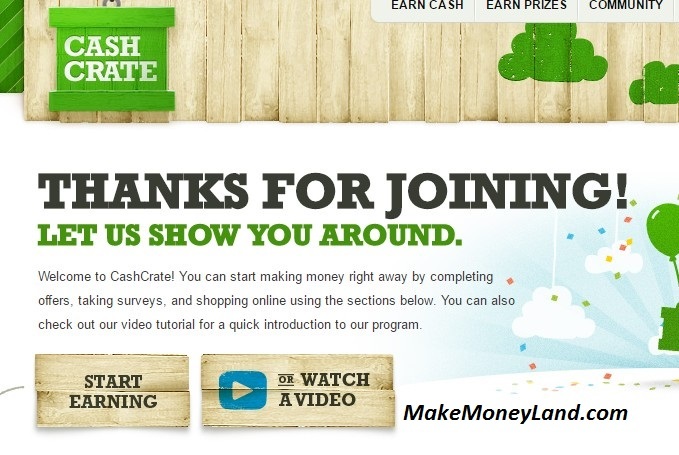 CashCrate: This is one of the best paid survey websites out there. You earn by taking part in daily research surveys, doing your shopping online, and referring other members to their program. Their minimum payout is $20 and they pay by check. All the countries are supported. 2. Fusion Cash: This is a paid survey website and their mode of payments are; Get Paid to Read, Get Paid to Call, their own sponsored radio and videos. The only problem with this website is because its for US residents only. 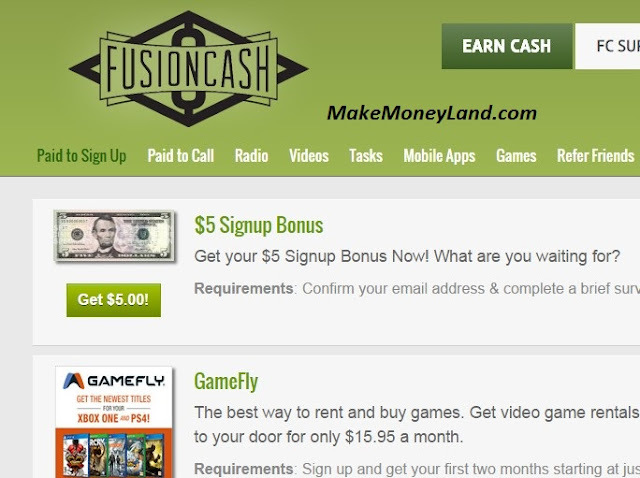 Fusion pays by check or paypal. 3. SendEarnings: This is a survey website. They give away $5 bonus when you sign up with them. 4. InboxPays: This is a GPT website. They pay you $1 per mail you read and delete your account if you don't visit your account in six months. Their minimum payout is $30. 5. 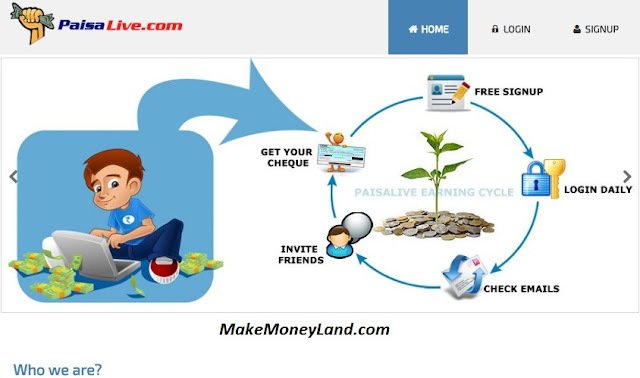 Paisalive: Paisalive is a nice website from India that's genuine. Once you sign up, you already have Rs. 99 instantly in your account. They accept all countries and their minimum payout is Rs. 1000. 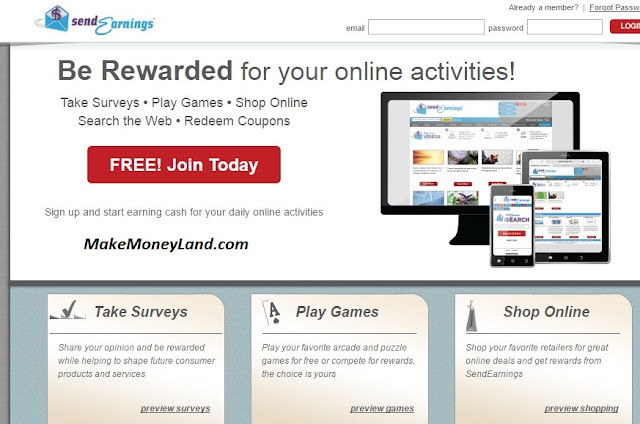 You earn by referring people or reading the mails in your control panel.